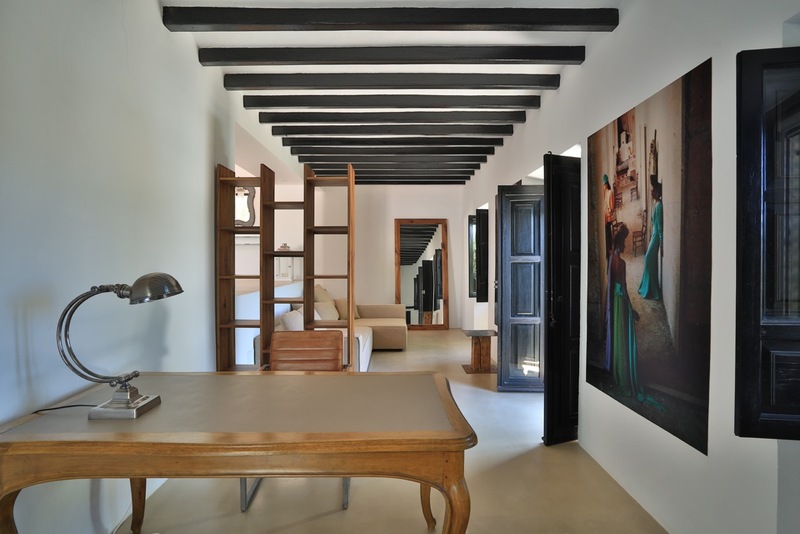 Located at the heart of the island in the beautiful picturesque area of Santa Gertrudis, this thoughtfully renovated finca is the perfect blend of traditional Ibicencan charm and modern stylish living. 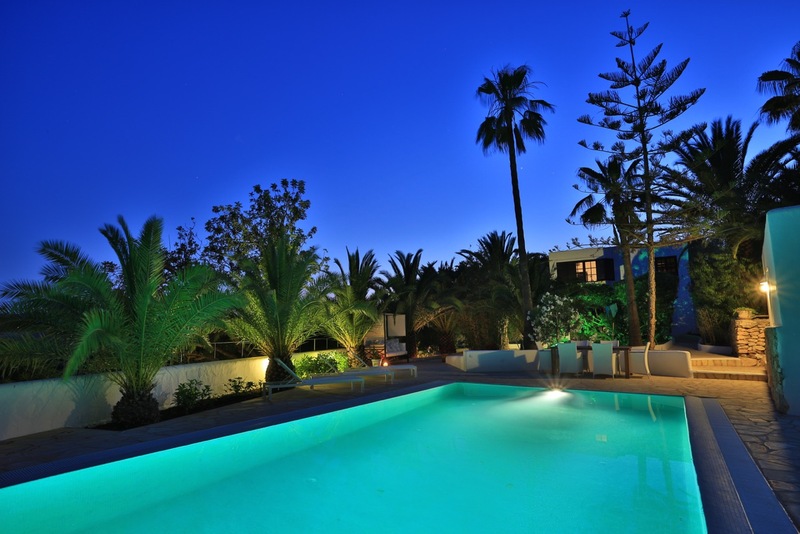 The property stands on almost five thousand square meters of wonderfully maintained terraced gardens. Featuring grassed lawns, mature palms, specimen trees, alfresco dining areas, shaded chillouts and seating areas that offer some of the most outstanding views of Dalt Villa, Formenter and the sea from anywhere on the island. 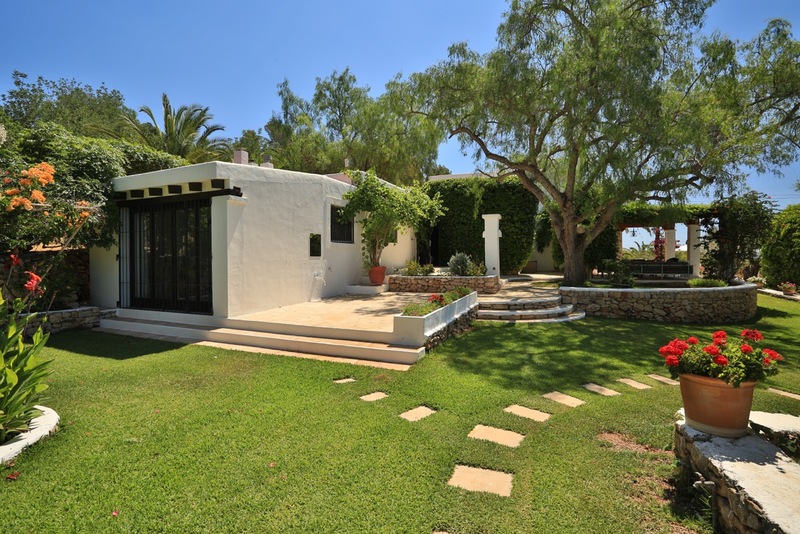 The finca has been renovated to the highest standard sitting in perfect harmony with its luxurious gardens and surrounding scenery. 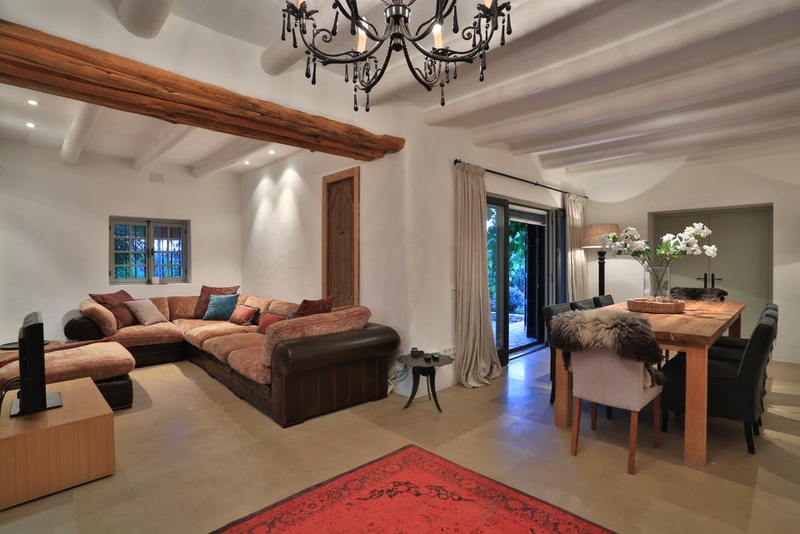 Every effort has been made to allow the property to retain is traditional charm and character. 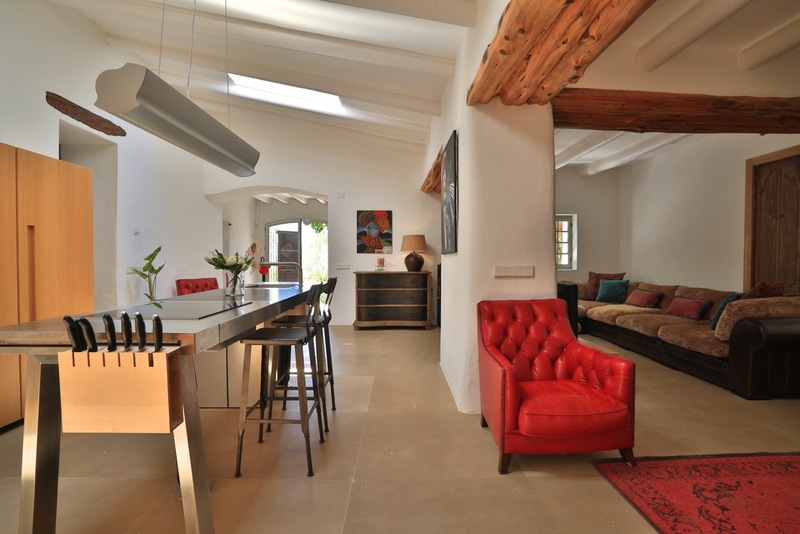 Inside the finca’s living areas have been opened up creating a spectacular open plan living dining and kitchen space. 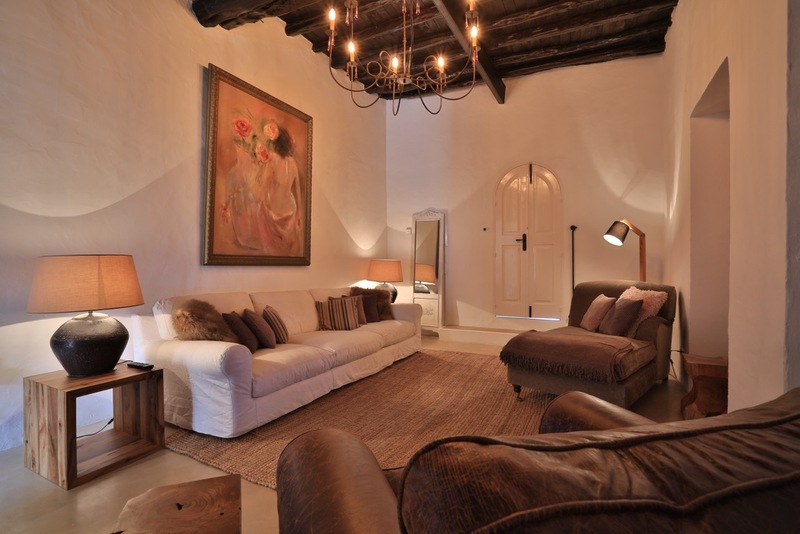 Tastefully decorated throughout with an eclectic mix of modern and antique furnishings. Colourful splashes of original artwork soft furnishings and the highest quality bespoke fixtures and fittings. 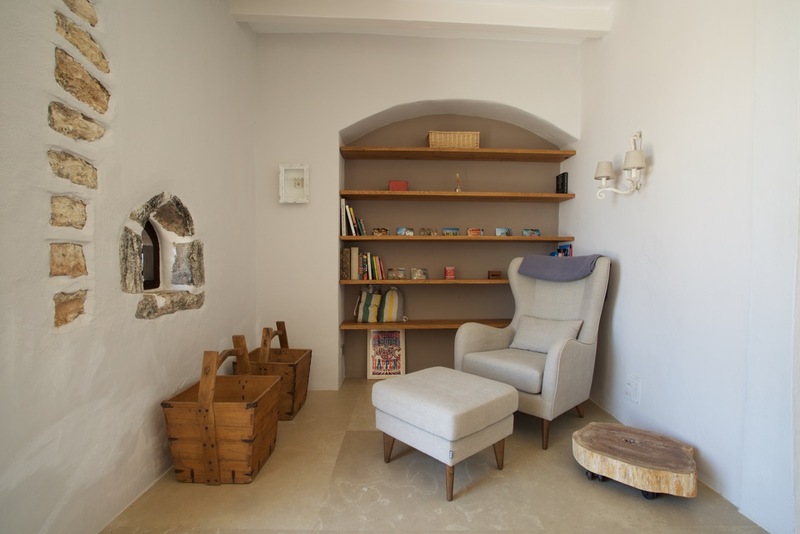 As you enter the finca through its grand double front doors you step immediately in to a small relaxing seating area that is well stocked with books, a door to your right leads to a well appointed guest cloakroom. One step leads you up to the open plan kitchen, living area. 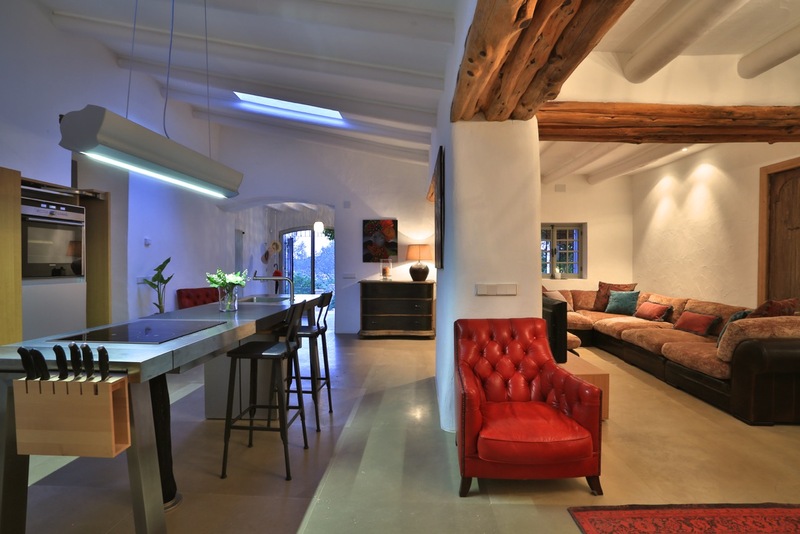 Flooded with natural sunlight from the skylights positioned in the high sloping ceiling. 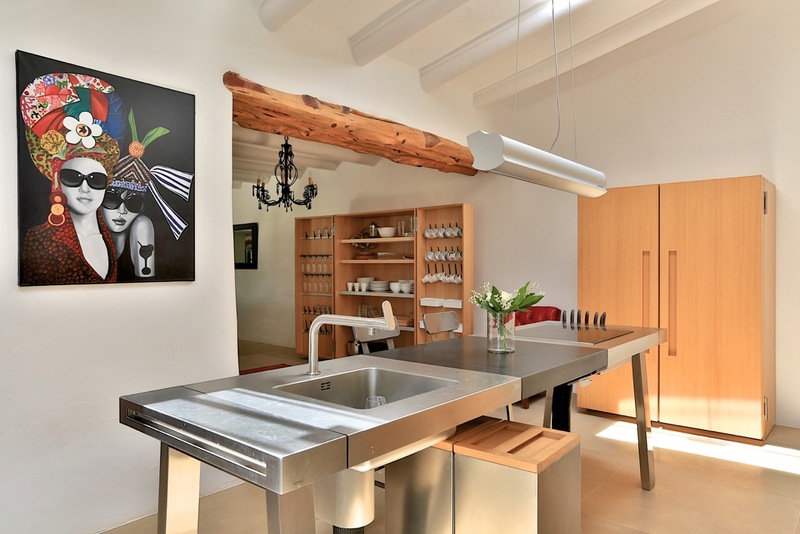 The Bulthaup kitchen is arranged around a large free standing island featuring an abundance of cook ware, stainless steel work surfaces, a sink, a convection hob and the highest specification fixtures and fittings. The storage units are spread around the large kitchen area maintaining the wonderful feeling of open plan living. Whilst providing any aspiring chef the perfect place to create culinary masterpieces. 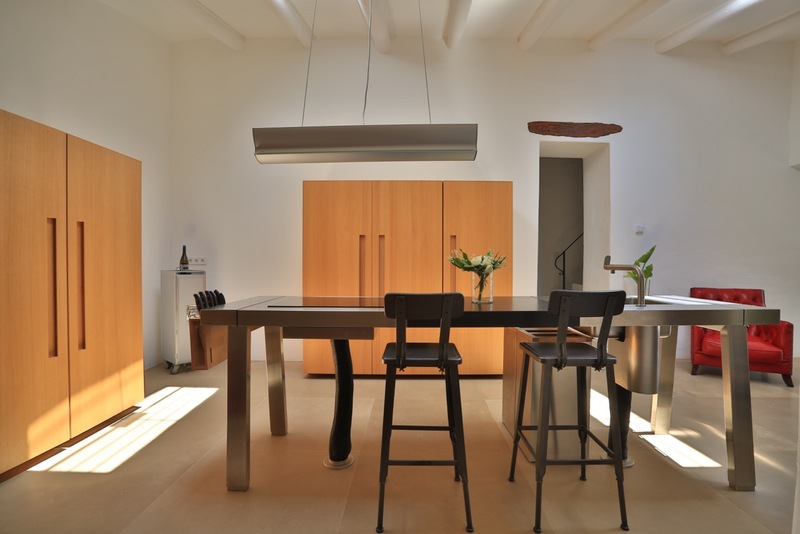 Situated in the kitchen space is the first of the properties seating areas. The oversized corner sofa is the perfect place to unwind watching TV or to sink back and relax with a glass of wine surrounded by good company in the heart of this home. The dining area has wooden table and chairs. 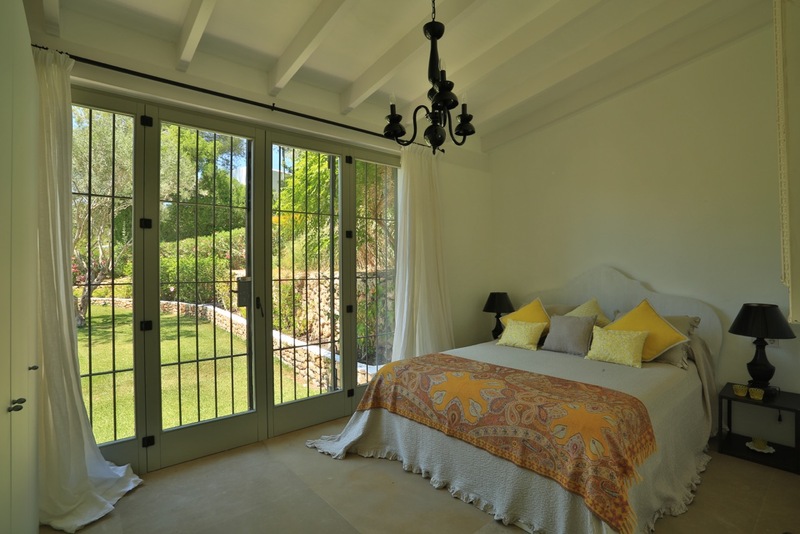 French doors allow direct access and stunning views out to the manicured gardens. The formal salon is accessed through a small hallway leading from the kitchen area. 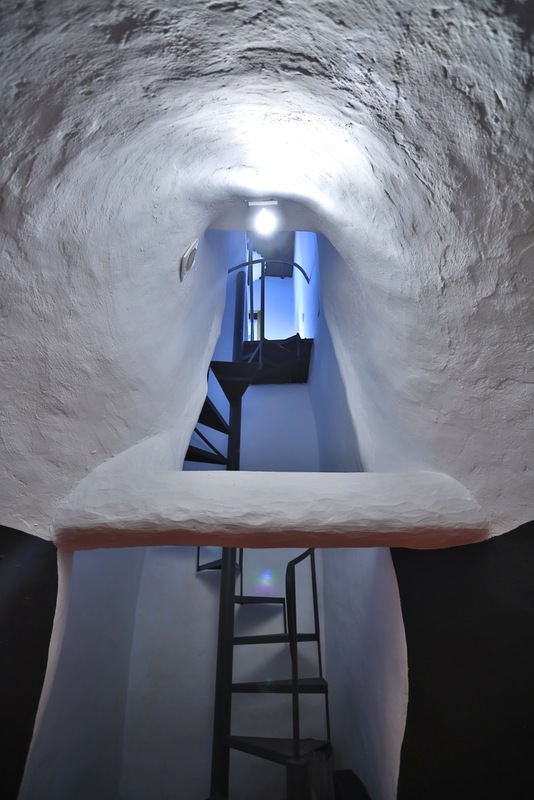 A staircase leads up to the properties master suite and a spiral staircase leads down to the properties original wine bodega, which has been lovingly restored. The salon is again luxuriously furnished and finished to the highest specification. 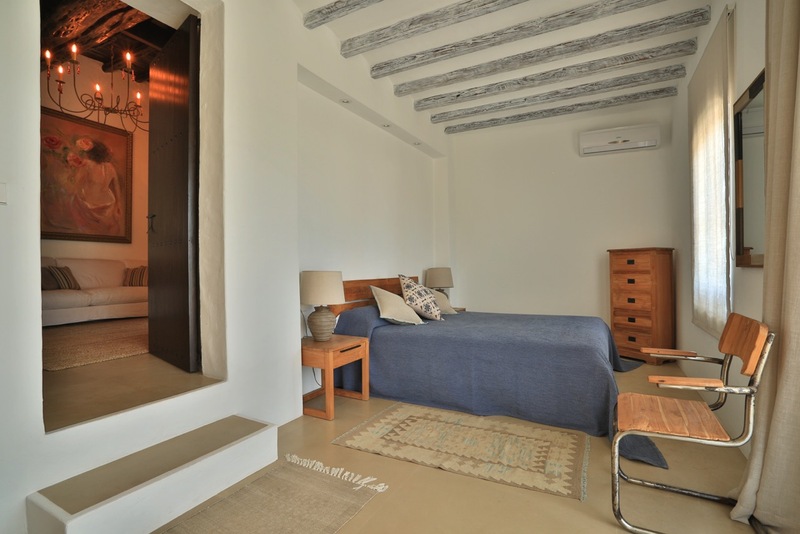 The central location of this room within the finca makes it the perfect place to retreat from the midday heat and relax in the cool air in front of the large flat screen TV. Taking up the entire first floor of the property the elegant split level master suite is accessed via a small flight of stairs from the hallway that leads from the kitchen. You enter the suite on a lower level that has a relaxing seating area with plush sofa and office space should you wish to connect with the real world. 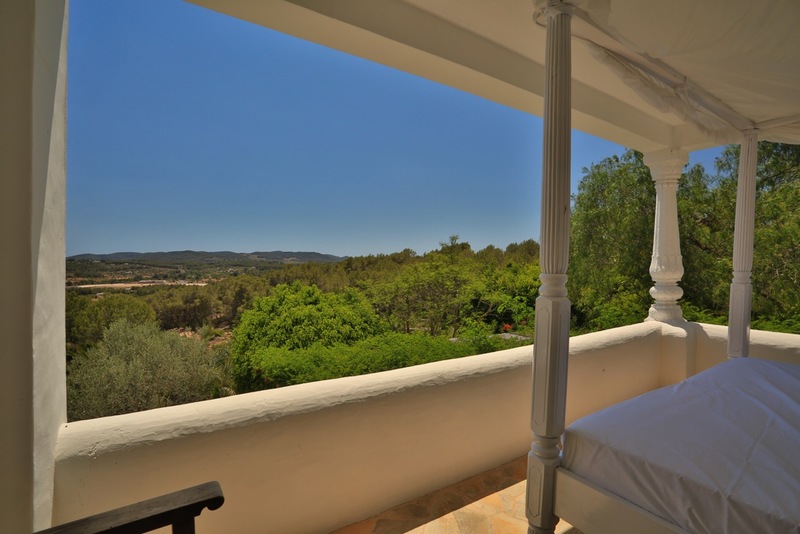 Traditional shuttered windows and a French balcony adorn the wall running along the front of the property, again offering views to Dalt Villa and Formentera. 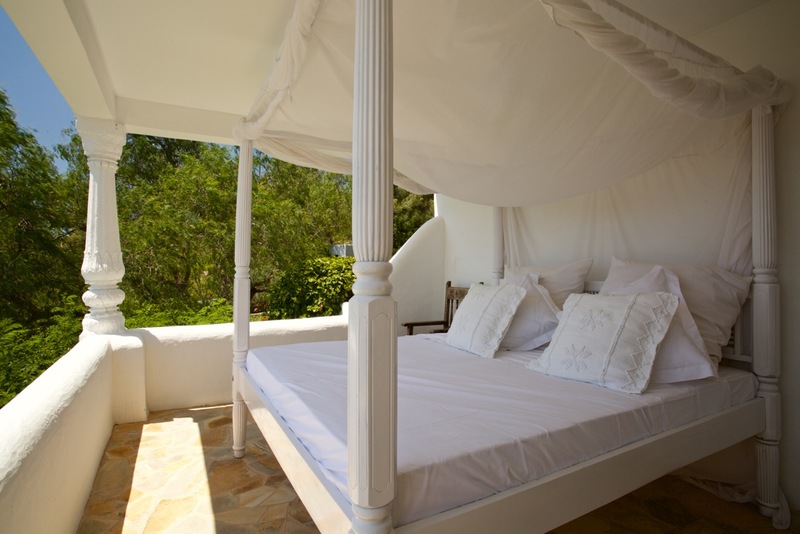 To the right of the master suites entrance is a door leading to the suites first private terrace, which is home to a large covered day bed that boasts some amazing views over the gardens and Ibiza. Up a small set of steps from the seating area you enter the bedroom space. Beautifully appointed with the same careful mix of old and new that is present through the entire property, double doors lead out to the suites second private terrace. The dressing room is positioned just behind the bedroom area and contains floor to ceiling wardrobes with plenty of storage available. The master en suite is again beautifully decorated. The stunning roll top bath sits in a large bay window next to another french balcony allowing you to enjoy spectacular views as you bathe in this luxurious room. This ensuite also benefits from twin basins a walk in shower, WC and ample built in storage. 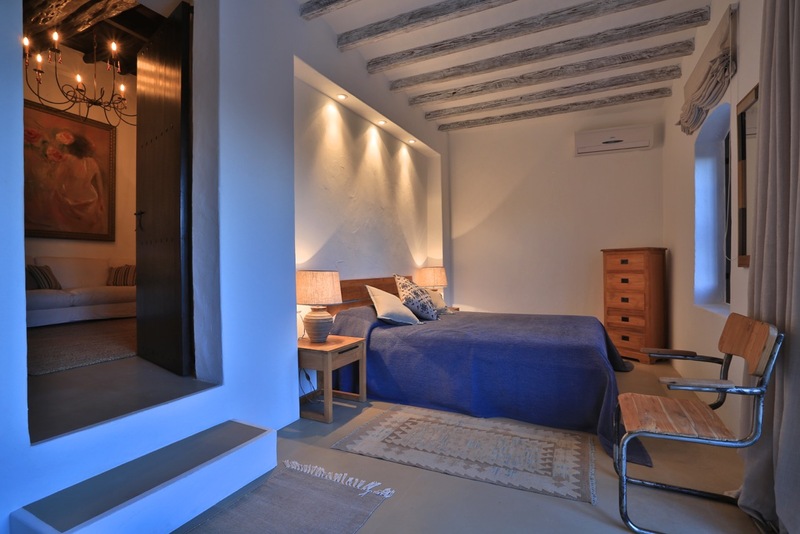 The second bedroom is located at the front of the property on the ground floor. 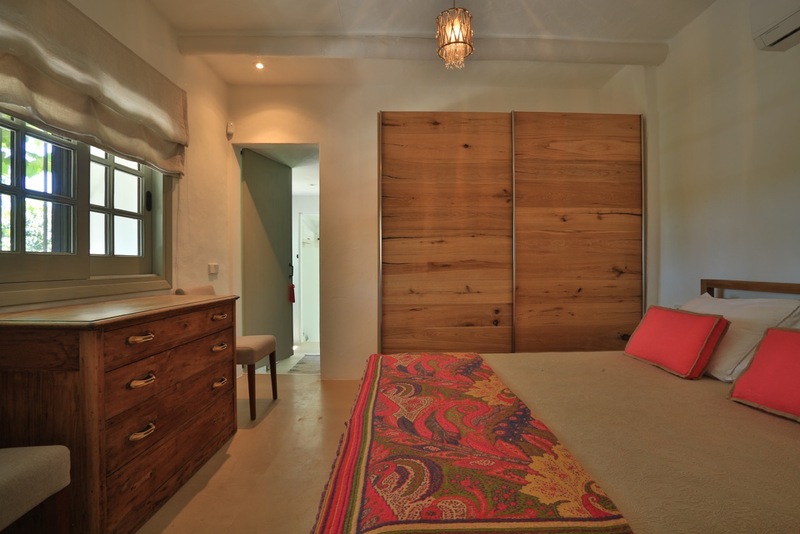 This double ensuite room can be entered via the formal salon or from its own private terrace area. With walk in shower fitted basin and WC. The third bedroom is positioned just off the formal salon this double room has again been lovingly restored. With its beautiful post and slat ceiling and two French doors that open out to a private sunken seating area with steps up into the garden. This bedroom shares a shower room with bedroom four.The fourth bedroom has access from the formal salon or its own french doors with direct access out to the pool area this elegant twin room shares a shower room with bedroom three and has its own alfresco dining area. Bedroom five is positioned at the end of the dining area this stunning double room enjoys views over the gardens and shares a shower room with bedroom six. Bedroom six has private access through huge glass doors from the gardens. This light bright room is tastefully decorated and benefits from a little extra privacy from the main house due to its location. Making it the perfect place for guests seeking solitude or parents with young children. Shared bathroom with bedroom five through individual entrances, with large walk in shower, WC and fitted basin providing ample storage. 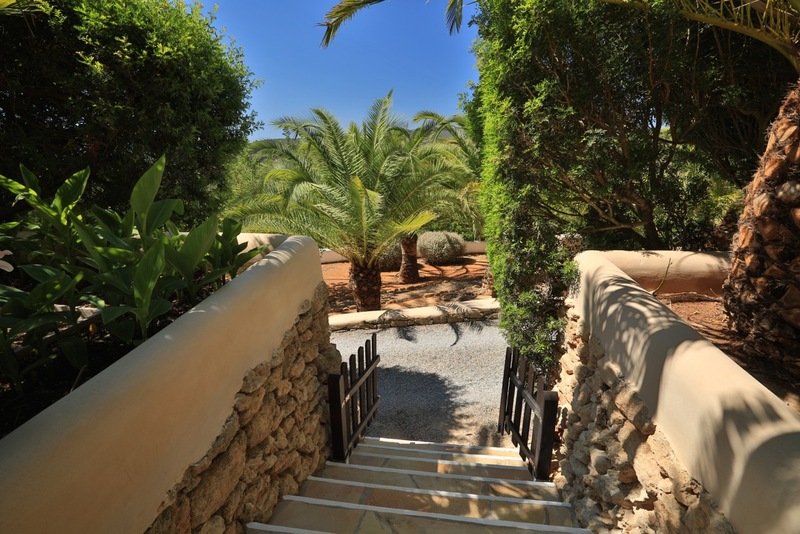 The property sits in a totally secure gated plot of just under 5000m2. 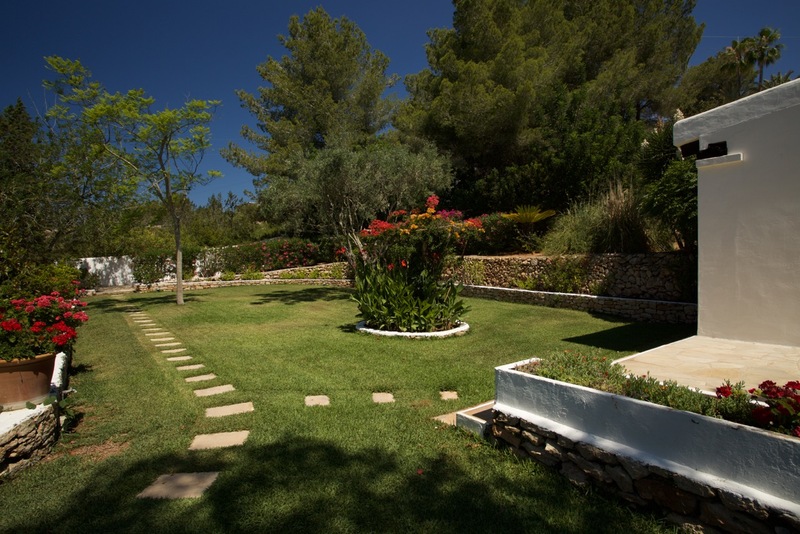 Consisting of five levels of beautifully manicured gardens filled with many mature trees and stunning flowering plants. There is an abundance of secluded seating areas, shaded chillouts and stunning views can be enjoyed in every direction. 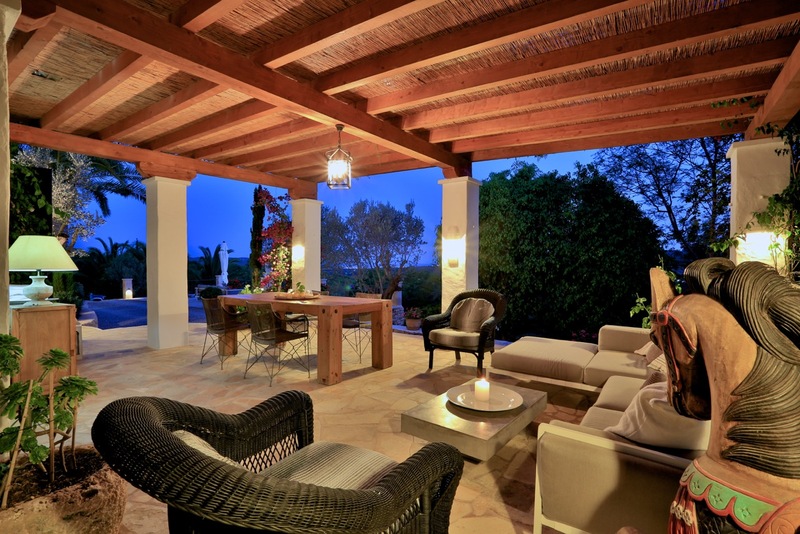 There is a large shaded alfresco dining area next to the main entrance of the property. 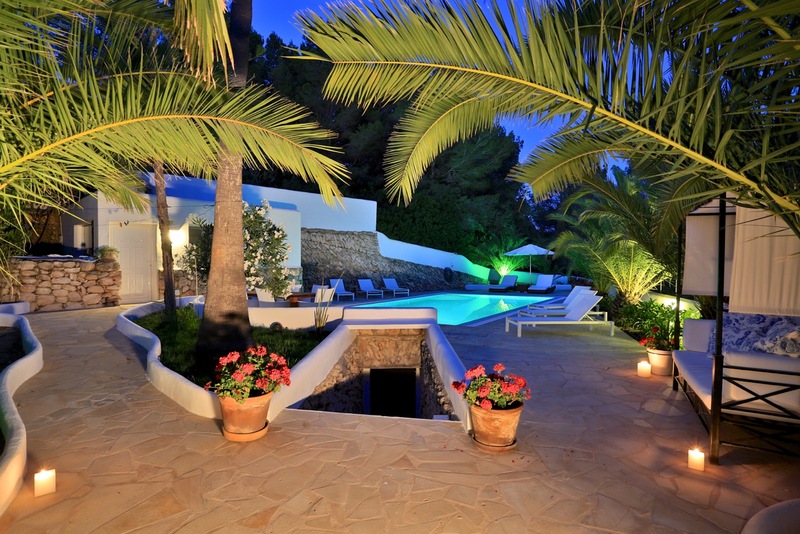 The large pool area is surrounded with sun loungers and day beds so all guests are sure to be able to find their own idylic spot to soak in the Ibiza sun. Another alfresco dining area for 6 people and a gas BBQ are also located here. 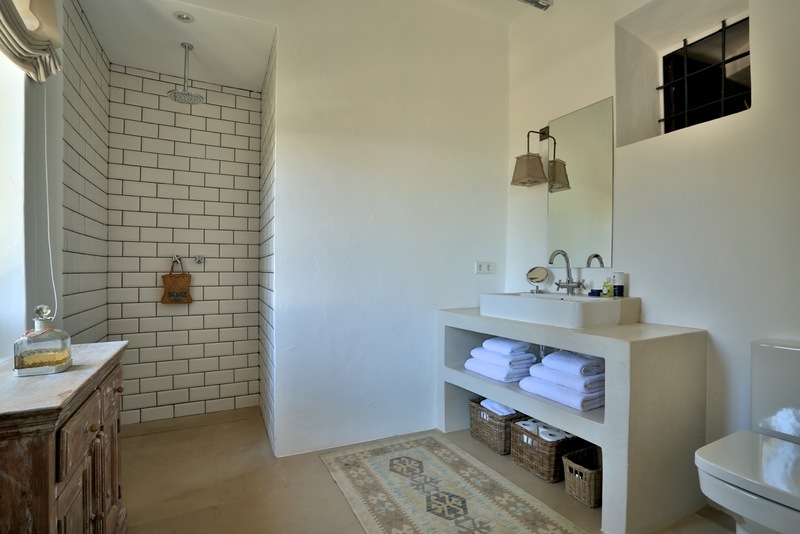 The pool area also benefits from its own self contained shower room and WC stocked with towels and robes. The is truly one of Ibizas hidden gems. 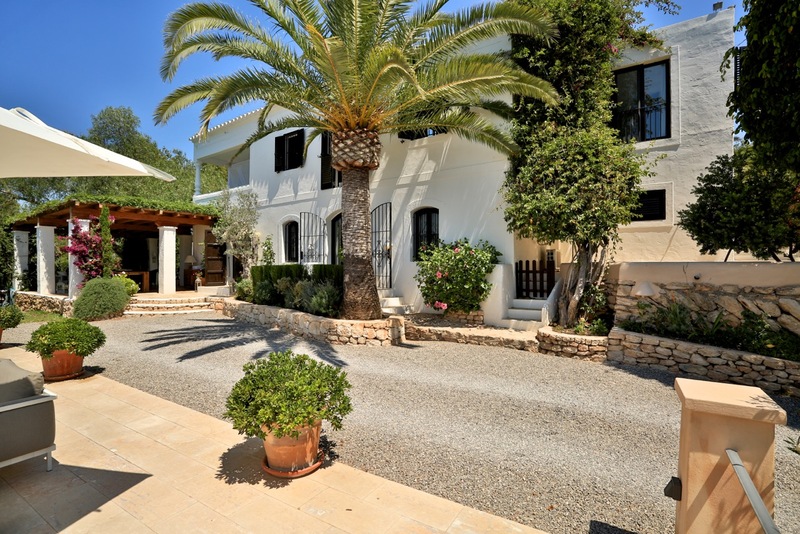 Its superb location the stunning views over the south of the island and the stylish renovation all add up to make this finca one of our most desirable properties, and your dream holiday destination. The attention to detail and the thoughtful design of this property is apparent everywhere you look. 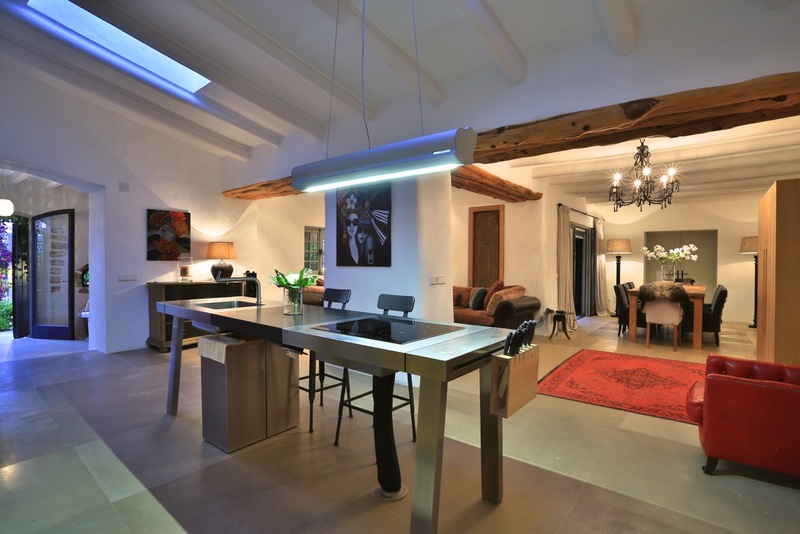 Making it not just any ordinary rental property. 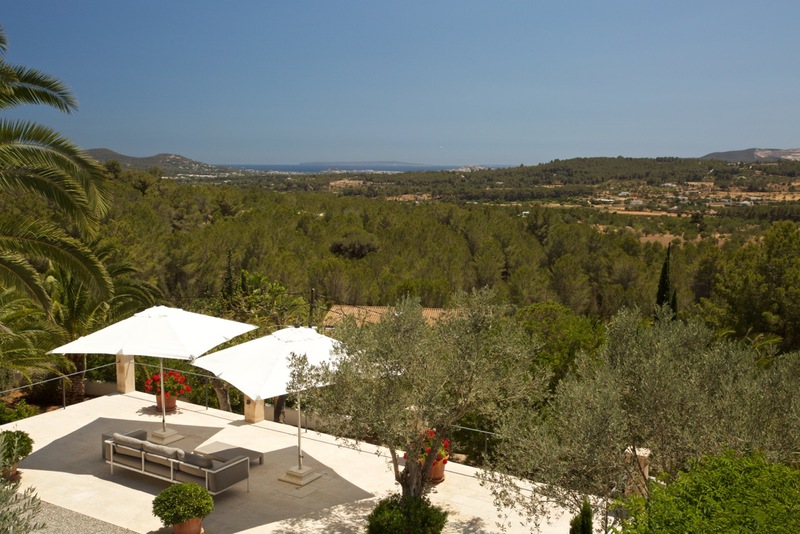 This truly is a luxury home from home where you will be certain to enjoy every single moment of your time in Ibiza.